These Elecom USB Flash Drives Look Like Plugs… Innovation At Its Best | OhGizmo! A 4GB model will be available from Geek Stuff 4 U sometime in August for about $37 (¥3,200) in black, blue, green or pink, and apparently they come with some kind of data encryption software that’s downloadable from Elecom’s site. so why do these require a news article? So that you can ask yourself… Why do I need one of these again, as your checking out on Geek Stuff 4 U's website. 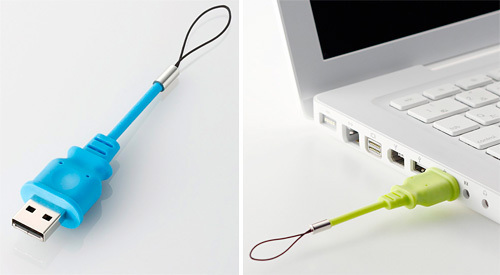 Really innovative USB style and design.